'Grave Fears' After Iraq Moves More Than 1,300 Wives, Children Of ISIS Suspects : The Two-Way "These women and children are extremely vulnerable. Regardless of what their family members may be accused of, they have a right to protection and assistance," says the Norwegian Refugee Council. A camp where more than 1,300 women and children, all foreign nationals and believed to be relatives of Islamic State militants, were kept on the outskirts of Mosul. They have been moved by Iraqi officials, to the concern of aid agencies. Iraqi authorities have moved a group of more than 1,300 foreign women and children — the family members of suspected ISIS fighters — and a refugee agency is raising the alarm about their precarious situation and the specter of retribution. "The families had been held in a camp in Kurdish-controlled territory while Iraq figures out what to do with them," NPR's Jane Arraf reports. The Norwegian Refugee Council said in a statement that the women and children were transferred Sunday from south of Mosul to an area north of the city that was freed from ISIS control three months ago. The council says that it has "grave fears" for the group's safety. It's not clear where, precisely, the group is now located. Fighters from all over the world have joined ISIS's ranks, sometimes bringing their wives with them. There are also cases of women traveling to marry ISIS fighters. And as ISIS loses territory, these women and children face an uncertain fate. 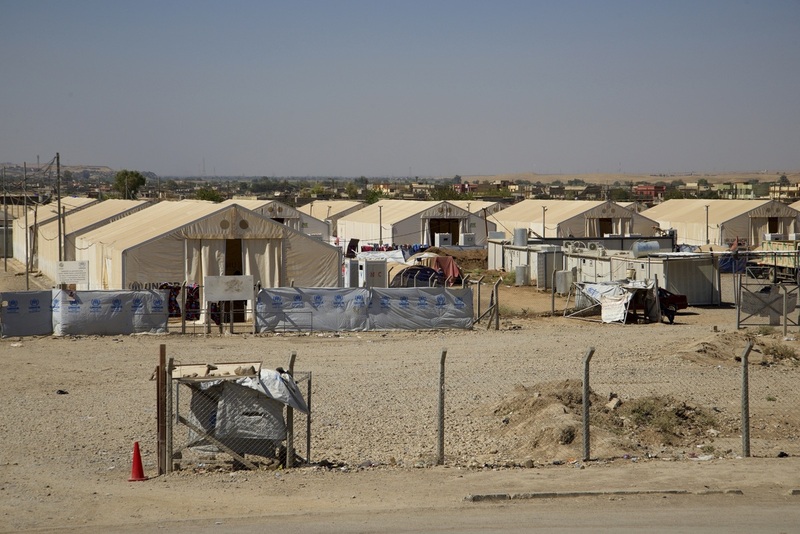 Iraq's Ministry of Defense says "it moved 1,324 European, Asian, African and South American women and children to a camp with better facilities," Jane reports, adding that more than half of them are Turkish. But the aid organization does not appear convinced that the new site offers "better facilities" and calls on Iraqi authorities to "move swiftly and clarify the status of these individuals, and offer effective guarantees of their fundamental rights." The NRC requests that authorities allow aid organizations to have access to the displaced families. At the previous site, Jane reports, the council had been providing the women and children with tents, food and water. "Iraq has asked other countries to take back citizens who married ISIS fighters but haven't committed any crimes here. It says those who committed crimes will be prosecuted," Jane adds. According to news reports, the families surrendered to Kurdish fighters after the recent battle for the town of Tal Afar in northern Iraq. Women who spoke to The Associated Press last week said they didn't know what happened to the ISIS fighters who are their husbands. The AP reports that a Kurdish commander, Brig. Gen. Kamel Harki, "said some of the captured fighters were handed over to Iraqi authorities while others were killed after faking their surrender and then attacking their captors."